In addition, UNARCO can handle all of your pallet rack installation and Project Management. UNARCO was the first warehouse pallet rack manufacturer in the industry. 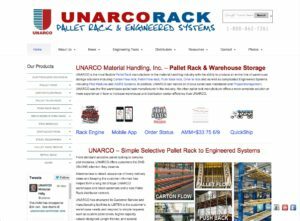 No other pallet rack manufacturer offers a more complete solution or more experience in how to increase warehouse and distribution center efficiency than UNARCO.